"Rain Over Me" is a song by American rapper Pitbull from his sixth studio album, Planet Pit. It features vocals from Puerto Rican-American singer Marc Anthony. The Eurodance song was written by Pitbull, RedOne, Marc Anthony, Bilal "The Chef" Hajji, AJ Janussi and Rachid Aziz, and it was produced by RedOne, David Rush and Jimmy Joker. It was released on June 10, 2011 as the third promotional single from the album and received a full release as the album's third official single on July 19, 2011. It charted at number 30 on the Billboard Hot 100 in the United States. The song became Pitbull's second number one single on the Billboard Hot Latin Songs chart as well his first number-one single on the Tropical Songs. In addition, it is Marc Anthony's sixth number-one single on the Hot Latin Songs and twentieth number-one single on the Tropical Songs, reclaiming his position as having the artist with the most number-one Tropical Songs chart after a two year tie with Víctor Manuelle. 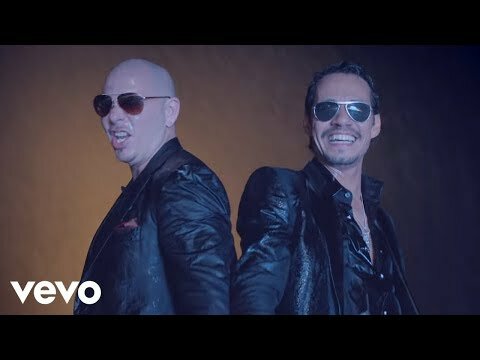 The music video was directed by David Rosseau, who also directed a previous Pitbull single, "I Know You Want Me (Calle Ocho)" in 2009.